Attaboy Tony! Pay that baby off! Got the driveway done yesterday. Oil based sealcoat. 2 coats. Please excuse the dirty truck, (she needs a wash), and the wasted lawn. We've been having a really dry summer out here,.......again! Too dry actually. 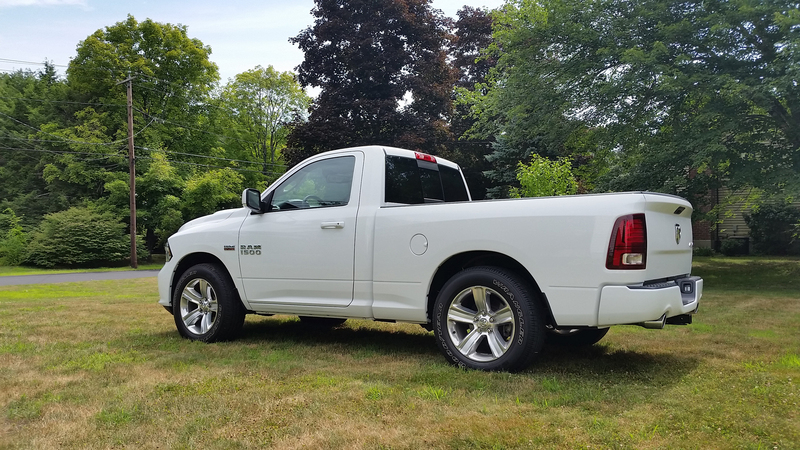 ^ Tony - driveway and Ram are looking good. 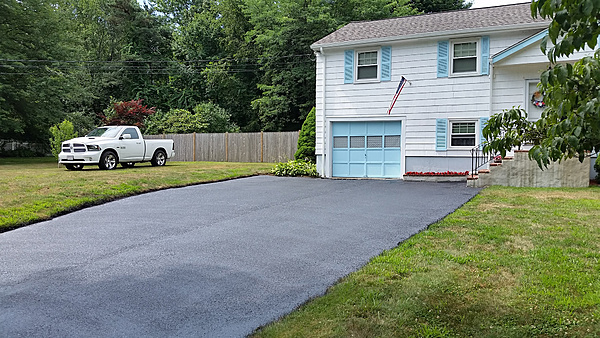 You ever think about going full on concrete on the driveway? Would be less overall maintenance. I have thought about it. I actually talked to a buddy at work about it. It's very expensive. But, probably worth it in the long run. Haven't updated this bad boy in a while. I was thinking of getting another ceramic coating professionally done as well, but I may wait till after the winter into late spring/early summer. Finally got pissed off and ordered the phone early this month and the pc, I just got on Tuesday. Both are beasts. They both fire up instantly and are super fast with commands. I've used all Apple products when I was working in prepress back in the day. Actually, my iTouch is an Apple product. That's the only Apple product I own. Sending in another 2 truck payments early on the way into work on Tuesday. No payment until the end of July, 2020. Getting really, really close to that 10K mark. Nice! That's a great feeling. I paid my Mustang off early and loved watching that "next payment due date" get further and further out. It is a great feeling indeed. It doesn't hurt to get a free quote(s) when needed. Thanks! But around here they TAX long concrete driveways and ignore long blacktop ones. So my every two or three year coating maintenance is cheaper than the added tax on my 220' driveway. That is insane! Talk about highway robbery. I wonder why that is?? ?